To recognize Fall 2011 Convention contest achievements, Park Lane created incredibly beautiful jewelry awards; jaw-dropping, mind-blowing jewelry that will stop people in their tracks! A bracelet of magnificent proportions, Multiple strands of silver chain fashion the wide bracelet; suspended in the center, the square centerpiece is contoured to the wrist and sparkles with the fiery brilliance of one hundred scintillating Swarovski crystals. No ring in our collection, or in any other, will rock you like this one will. 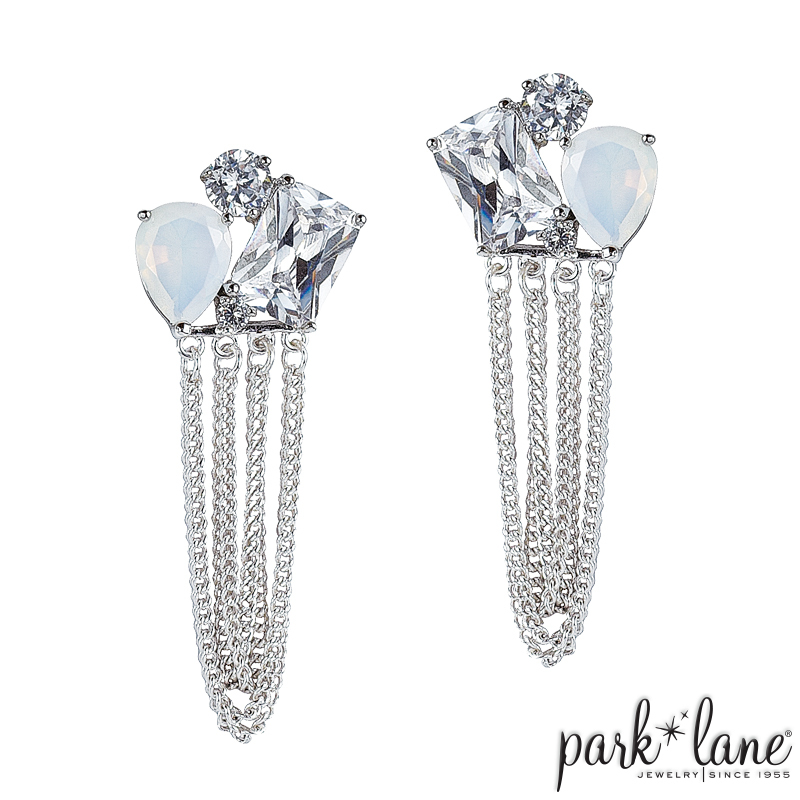 A brilliant round and a huge emerald-cut clear CZ join the pear and oval-shaped lustrous white opal CZs. OPAL ESSENCE ring is knuckle-to-knuckle glam. OPAL ESSENCE pierced earrings feature four delicate strands of silver chain draped in elegant loops from a trio of clustered clear and opal CZs. All the sparkling, lustrous, luminous elements, the hundred-crystal square, the brilliant faux diamond CZs and mystical opal CZ gems, all unite on a magnificent collar necklace of bold and fine, twisted and draped, silver strands. The result: OPAL ESSENCE necklace! This opulent masterpiece is designed to amaze and astound.